Huntsville is not ashamed to say we&apos;re geeky and we know it. Enjoy some of our favorite restaurants to nosh with fellow nerds! 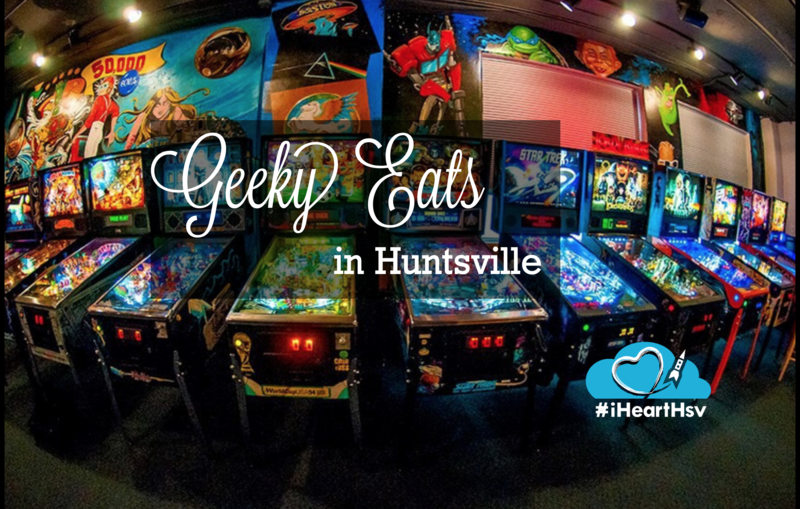 We have a list of some of our favorite Geeky Eats in Huntsville, Alabama. If you go to any of these restaurants, make sure you tag us with #iHeartHsv and let us know how your culinary experience was! Toybox Bistro is the perfect place to eat, drink, and be nerdy! They have amazing displays along with legos you can play with until the amazing food hits your table. The Supper Hero Restaurant is the place if you want to enjoy your comics along with some culinary delights. Started by two people with 40+ years in the service industry this fun and fresh restaurant will let you nerd out with no judgements. To the batmobile to grab food! Pints & Pixels is a bar/arcade featuring regional brewery offerings plus your favorite bottled beers and a full bar for mixed drinks and wines. The arcade showcases 35+ vintage video arcade games from the 80’s and 90’s, along with 15+ pinball machines. TVs are timewarped to 80’s music videos, movies and television programs. Ale&apos;s Kitchen is located inside Straight to Ale as part of the Campus No. 805 project, serving gourmet burgers, wings, fresh cut fries and other inventive culinary wonders. What makes this geeky? Well once you get over the face you are in a brewery in a old school, you can try to find the hidden speakeasy. Every hero needs a lair. If a hidden secret speakeasy isn&apos;t something to nerd out over, what is?